Uncategories Yes, the change starts with you dear…. 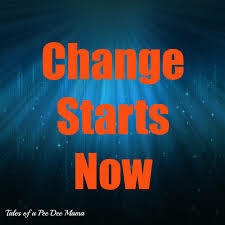 Sometimes change is not the spice of life but the act or process through which the entire position is changed from the existing one, is called a Change. In fact, change is happening in the natural process every moment and sometimes it is the excitement of life also. Change is necessary to crack the stagnation otherwise the things will be stand-still as if nothing is happening. Change is a part of life and most of time it is for betterment provided you don’t have vested interest. There could be number of things happening around you to have happened and penned down in the books but some of them are memorable and could be message able for others to follow. Ramayana –a pious scripture of Hindus has been viewed from different angles with pluses and minuses and teaches us lots of lessons. But the comments of a Washerman – Dhobi – in a single incident on the loyalty of Sita - wife of Lord Ram on her return from Lanka where she was kept by the Ravana, after kidnapping, changed the entire life style. Lord Ram on hearing the comments of Washerman, decided to throw away Sita to have a smooth sailing with his kingship and life changes completely. The irresponsible statement of Washerman – Dhobi - by virtue of his own assumptions changed somebody’s life completely. In fact, reputation of a person depends upon his actions and perceptions which are formed from the people’s comments. It is an admitted theory that the strength or damage of the relationship also depends more on the perception than standing or status of the person. Speaking in an ideal world, one should not utter a single word without any basis but only on witnessing otherwise it would be a presumption about any particular personality like the ‘Washerman’s Syndrome’ for the qualified persons being rejected for more responsible posts in various establishments with the action of susceptible leaders. Similar could be position in the reverse position by the decision taking authorities. Frankly speaking, it is very difficult to change the world around you and their way of screening perceptions but one can definitely save to control any situation like the symptoms of Washerman that changed the entire life style of Lord Rama, by not intentionally putting the words in other’s ears on anyone’s capability or character, unless and until you have personally witness, which could have an effect or impinge on the existence of your colleague, friend or relative. Take it granted that the change starts from you !